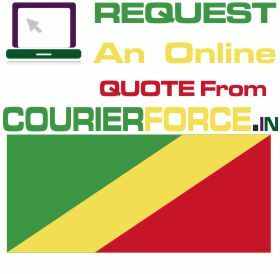 Courier Force gives discounted prices on courier to Congo, Democratic republic of Congo lies in central Africa and is second largest country in Africa in terms of area. The country is rich with mineral wealth but the people are still the poorest in the world. Goma, Masina, Likasi, Kolwezi, Kinshasa are some of the regions in Congo where we deliver parcels along with many othersIt’s undoubtedly important to be 100 % sure that your parcel is in safe hands especially when it is to a far off land like Congo. With Courier Force you can get this trust. We have years of experience in the field of shipping to Congo.Businesses as well as individuals with different courier needs send parcels to Congo through us. Our rates are the most competitive in the market and we make use of only the very best couriers in the market like DHL, FedEx, and TNT to send your shipment to Congo.We have a online live chat team to answer all your queries immediately. Booking process is simple where the quotation can be received by simply mentioning the weight and dimension of the parcel following which door to door service for pickup and delivery of the parcel can be arranged. You will also be provided with online parcel tracking no. to trace your parcel. So book your parcel now and enjoy world class experience in parcel delivery to Congo. 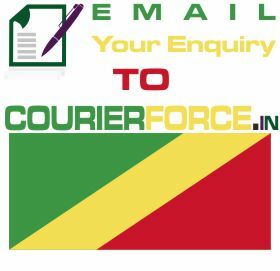 Prices below are door to door courier rates to Congo from Mumbai. These charges are cheapest in India for sending courier to Congo from India. This is by a courier company which is the best in industry for parcel services to Congo. 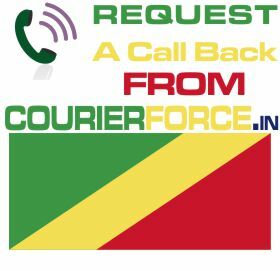 Again, Courier Force is one of the very few companies who have their own network for distributing parcel in Congo. It will take anywhere between 3 and 6 working days to deliver your parcel to Congo from India. We will be simply collecting the parcel from your business or residence in India and delivering it to your destination address in Congo. Duties, taxes and customs charges if any (in Congo) will be additional.